The past few weeks have been so busy with all sort of "life" things and I'm more then ready for a trip away! This year I'm eager to travel and see some sights as a family now that my son is old enough. I had plan that our first trip would be out of the county but change those plans recently. Note: My hotel and family attractions passes are covered by Greater Philadelphia Tourism. Views expressed are always 100% my own. After attending a media preview from the Philadelphia Visitor's Center, I decided our first family trip this year would be to the city of brotherly love! While I've visited Philadelphia a few times before, this would be my son's first visit to Philadelphia. That makes this trip sorta special since it our first "official" family trip. Just the two us touring around. Fun! From what I remember from my previous trip to Philly. is that the city is filled with historic sites. 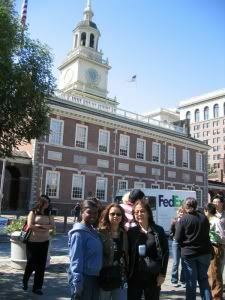 While I enjoyed visiting the different historic site like the Liberty Bell Tower, there's much more to do and see in Philly, especially as a family. 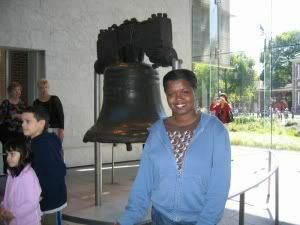 During my Philly trip, I hope to check out the following places. I'm not sure how many places and activities we'll actually get to see and do, but I'm sure my son and I will have a blast! How fun! I am so happy you guys are finally going on your first family trip. I am making some plans to take a few nearby family trips this Summer, can't wait! 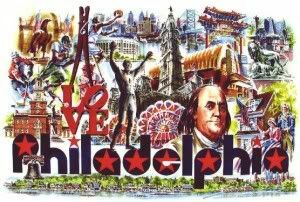 Love Philly! Hope you are having a great time. :) Love the Philly Zoo! Their Kids Museum is awesome too!